These are the latest books published by The Copper Beech in 2008 through 2015. They can be purchased through Amazon.com or at CreateSpace or directly from John Graham at a discount. All the books on this page are also available in Kindle versions through Amazon at Kindle. The first is not available to the public. Read an excerpt by clicking on the image of any cover. This book is about adoption, in particular, foreign adoption and, more specifically, adoptions from Russia. However, much applies to any adoption, within one's country or not. It is a very personal experience and it is more of a 'How not to' book than a 'How to' encouragement. The terrifying exploitation of fragile couples should be clearly revealed to those recommending adoption. The anxious pair should have plain information of the drain that will occur of both their material resources and their mental stability as 'adoption' proceeds, but generally they are poorly advised. Published by Copper Beech. laminated shiny colored cover, 52 pages, not for sale. Joe Blaqueard is a drug dealer, his wife Nancy sells advertising and her lover, Peter, is a nuclear scientist. Peter's wife is the business partner of a developer of businesses, in particular in Brazil. Blaqueard has a drug chain, which extends from South America to Canada and across the Europe. It needs constant money to feed it before any financial returns appear. The affairs of these characters extend from Pittsburgh to San Francisco to Rio de Janeiro but a small girl who lives in Lermoos, Austria, affects them all deeply. She is a focus of the action. The story includes murder and mayhem but also love in all its guises, sometimes tender and sometimes violent. The reader will be fascinated by the double endings of the story. An illustrated book of eight children's stories, endorsed by the author's twin daughters. The first story in the book, they told their father when they were just four. It's a violent story involving death, killing and starvation … but gently though. The 16th Century was an intriguing time in which large changes occurred in Western Europe. Martin Luther published his religious theses, principally against church indulgences, and the Roman Catholic Church lost a large part of its membership to what became the protestant Lutheran/Calvinist sect. Nations were divided and wars took place over the separation. Even secular culture changed. Printing had been invented so that people could read the opinions of others -- a very dangerous concept. Far away lands had been explored by enquiring sailors and in the east the Spice Islands were in full swing while the Americas had been discovered and even populated. Printing and travel, both opened people’s minds to the wider world and to its variety. Trade expanded across the globe. What had been a trickle of goods from China to Europe through Venice became a flood of new goods brought under Portuguese and Dutch flags through Lisbon, Amsterdam and Antwerp. No longer were people confined to their homes and towns by servitude. Moreover, if they could not afford to travel at least they could dream of other worlds through the talk and tales of travellers. And the tastes of other lands came to their own markets: potatoes and tomatoes had just been introduced. This story explores the possible adventures of one young man, Samuel, poised on the edge of this change, who sought something different. He is a composite of people of his age. He meets people of all types, some good, some bad and some downright evil. 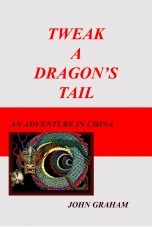 The book is based upon real experience in almost eight decades of life and travel covering almost 70 countries. The author has a wealth of experience in dealing with uncivil servants and he has enlarged this experience by extensive research. The book also provides examples of how to deal with civil servants: often very successful methods worthy of your consideration. This book relates the history of 25 of the 266 Popes, good and bad, to illustrate what made the Popes tick. Surprise, surprise! They were and are ordinary men with the complete spectrum of human frailties: ambition, greed, lust, and indeed there were more nasty men in the list of 266 than there were nice. Their tales make exciting reading because, not only did they have nasty habits but they were powerful too. That makes for a dangerous combination. The book completes their lives by summarizing 10 things that you would rather not know about Popes. Winter Park is a ski resort connected to Denver by a railway, which penetrates the Front Range of the Rockies, as well as by excellent roads through the mountains. The resort provides wonderful skiing supported by excellent facilities. However, in this novel the resort becomes a target. The book moves from one exciting encounter to another leading the reader across the West from one potential villain to the next, keeping the reader attentive to the plot. It is difficult to put the book down. The author lived in Denver for almost two decades and so is very familiar with the Rockies. He skies but he prefers ‘langlauf’ to throwing himself off a steep hill. Fortunately, his wife skies downhill and is very competent on Black trails. Her skiing at Winter Park gave him the idea for the book. At the Mouth of the River Wey … by John Graham with co-author, Colin Bazell. “At the Mouth of the River Wey” is the history of Weymouth, Dorset, UK, from Neolithic times to the future … through Celtic, Roman, Viking, and Norman occupation to modern Britain and its global connections. What matters in history is who lived, who disturbed the normal flow of life, who changed things, who contributed to human progress, or not, and, consequently, who is worth remembering as an example of good or bad. This book tells the tales of those people and their times immersed in the history of south Dorset. The volume is intended to be readable enough that, once opened, is very difficult to put down. Try a sample by clicking on the cover image. The book is in full colour with a laminated cover. 230 pages 5.5" x 8.5". List price $50.00 but much less through direct sales. Contact John Graham. A newcomer to Hoogstraten and Belgium has written this volume to celebrate 800 years of the town. It comprises two books, which are difficult to put down once they are started. 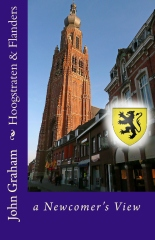 The first book is a History of Hoogstraten and its environs over the past 1200 years. It is a readable account of people's lives rather than a list of dates. Have you heard of Jacob van Hoogstraten or Thomas Graham - both of whom were important to our town? Ideas, recommendations and opinions, sometimes controversial, are also offered about the present state of the town and its future. The second book is a history of the House of Flanders … historic fiction about real people as they might have lived in times from the Vikings to the defeat of Napoleon. The story is sometimes bloody, since battles were as common as football matches in the past, and often bawdy when the bed occupied the Counts' evening hours. 190 pages 5.5" x 8.5" full colour with a laminated cover … sold on Amazon.com and $19 discount from the author. In this autobiography you meet a person who has been successively a mathematician, a chess player, a family man, a marathon runner, a writer, a world traveler, a leader in science and again a family man (40 years after the first family). It has been a full and exciting life … so far. Nuclear science, especially the mathematics of it, was an early passion practiced in three countries. However writing: articles, editing a number of magazines, handbooks and novels have overlapped those scientific years. In this book he draws on his experience and offers his opinions. They are sometimes controversial but are always strongly held. Buy the book and see if you agree. The author grew up believing that Marconi invented radio, Westinghouse invented alternating current, Talbot invented photography and Edward Jenner invented vaccination. He grew up to think that Aristotle was dull. None of these are true. Innovators and inventors are wonderful thinkers but they are often poor communicators and business people. For that reason, even if the change that they brought about altered or enhanced society, oftentimes they were forgotten, they did not receive public recognition or some other person might take their credit. Sometimes the true innovators were not recognized for hundreds of years and, I suspect, sometimes never. A Short History of Painting discusses and illustrates those influences that have affected painting over the course of history from Paleolithic times to the present. Materials and their availability, religious and social changes, the markets for paintings, changing styles and the public acceptance of subject matter and certain landmark painters have all changed painting as techniques evolved. We meet Lim Yok, the son of a Kowloon farmer, Cindy Rogerson, daughter of a British banking firm, Su Wu, a child of the harbor, and Peter Marshall, an Australian activist who is now a lecturer. These young people live in Hong Kong as the time approaches for the territories to be returned to the People's Republic of China. As they become politically active they each go through their own trials and tribulations and meet eachother in exciting times. The book follows their lives up to the fatal day of the Returning on July 1st 1997. The story starts in 1985 and revisits the scene in 1991, 1995 and 1997. Read the astounding ending of the handover of the Territories to the People's Republic. This is the story of a Flemish painter, Petrus Versmissen and his son, Jacobus, and daughter, Ambrosia. It is an adventure story set in a period following the Reformation … a turbulent time when Western Europe was torn by innumerable wars. The reader will discover what it was like to live, love, paint and travel in those times when the art of painting reached its peak around Antwerp. 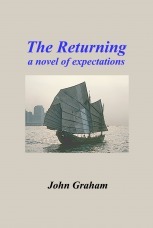 An engineer, Toby, from Hong Kong, follows his mentally disturbed brother into China. He fears the worst: illegal entry without a passport to be sure but perhaps also an act planned against the People's Republic. Toby's colleague, Donna, his lover, helps in his quest while a mysterious college student, Kathy, invades the scene. The path leads deep into China. The story is a vivid picture of what the country and its people were like in the seventies: full of intrigue under a totalitarian regime. Guangzhou, Guillin, the unbridled Yangtze and Chongking lead to Beijing and a triple-whammy ending.